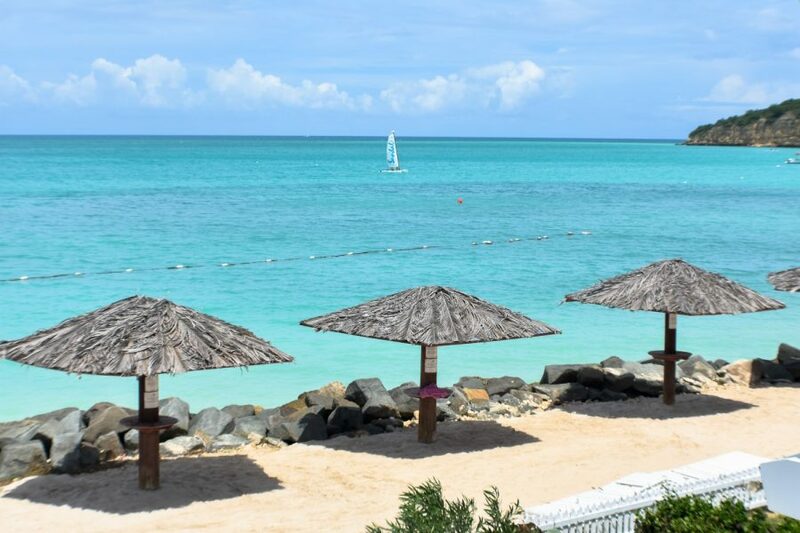 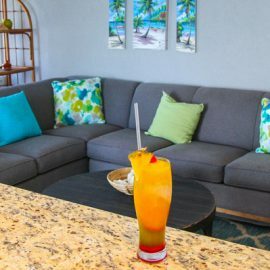 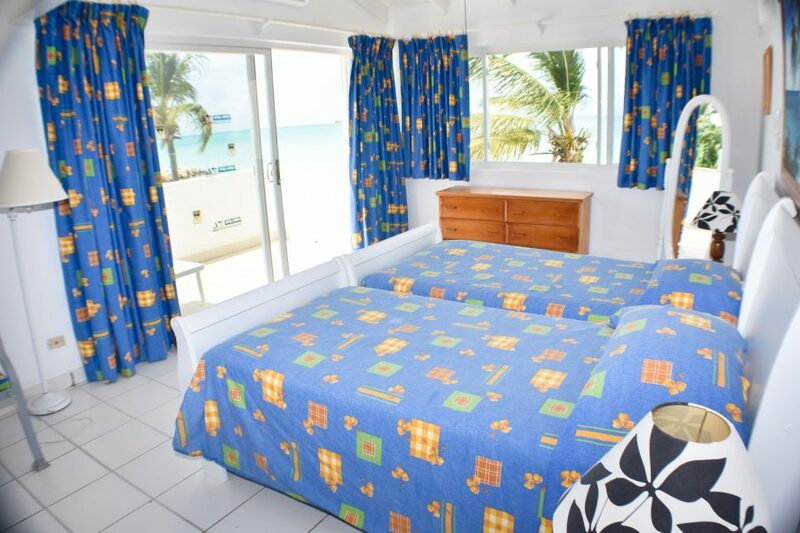 The largest of the properties in Antigua Village is the three-bedroom beachfront house. 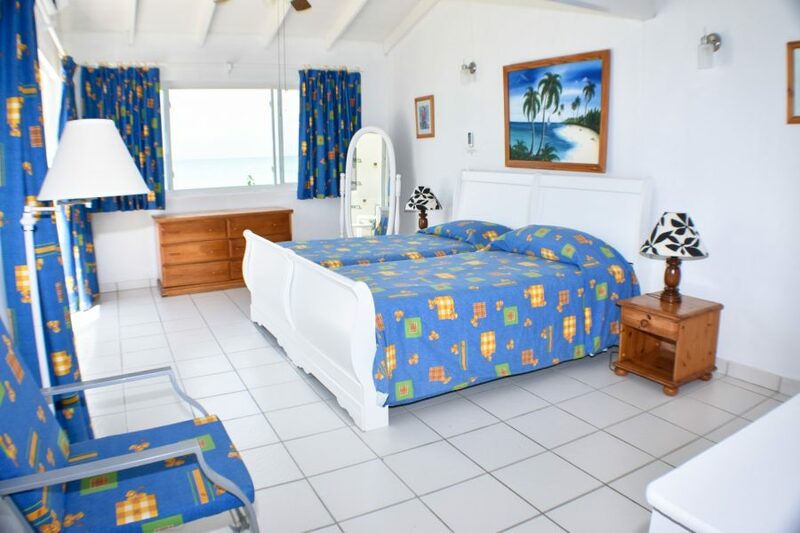 Ideal for families this beachfront house can comfortably accommodate six people in the three bedrooms. 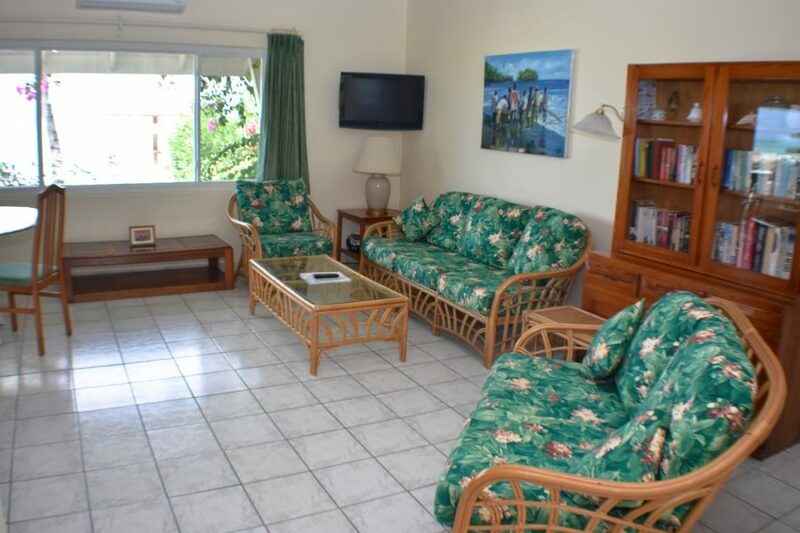 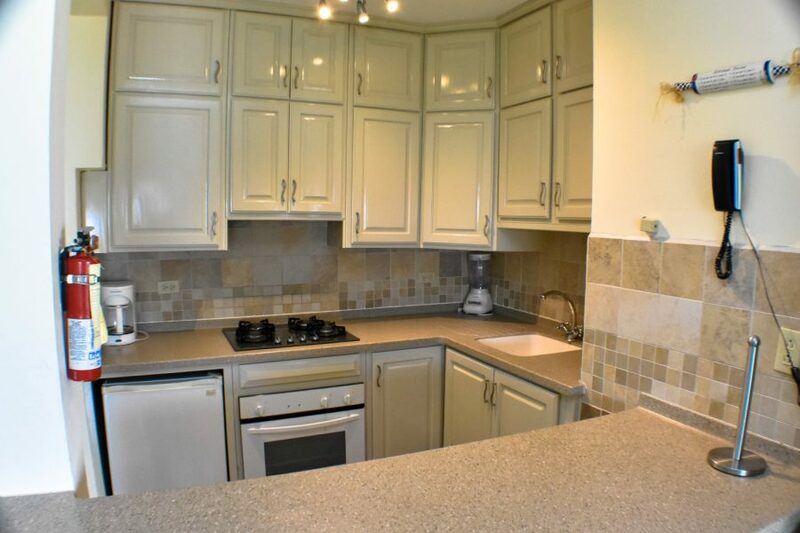 On the ground level, the house has a spacious living area with a fully equipped kitchen. 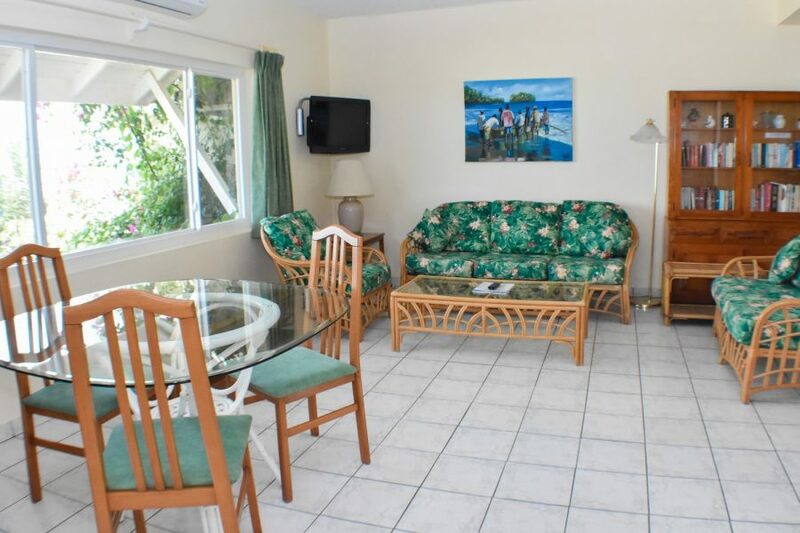 Sliding patio doors lead out to a large sun terrace with loungers overlooking the sea. 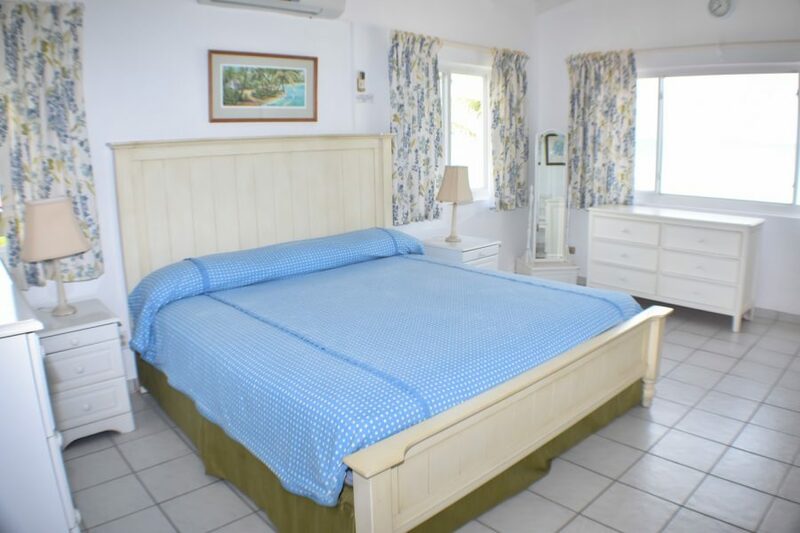 Also on the ground floor is one bedroom with a king-sized bed with a private bathroom. 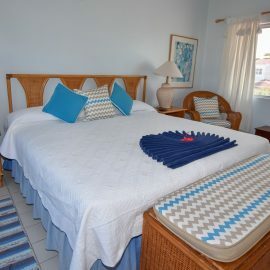 Upstairs are two additional bedrooms, one with a king-sized bed, the other with two single beds ideal for children. 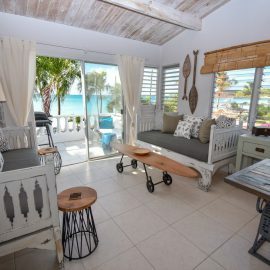 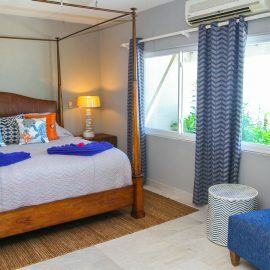 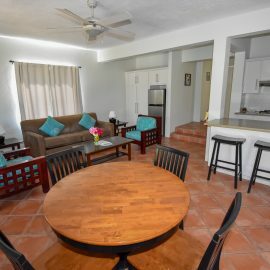 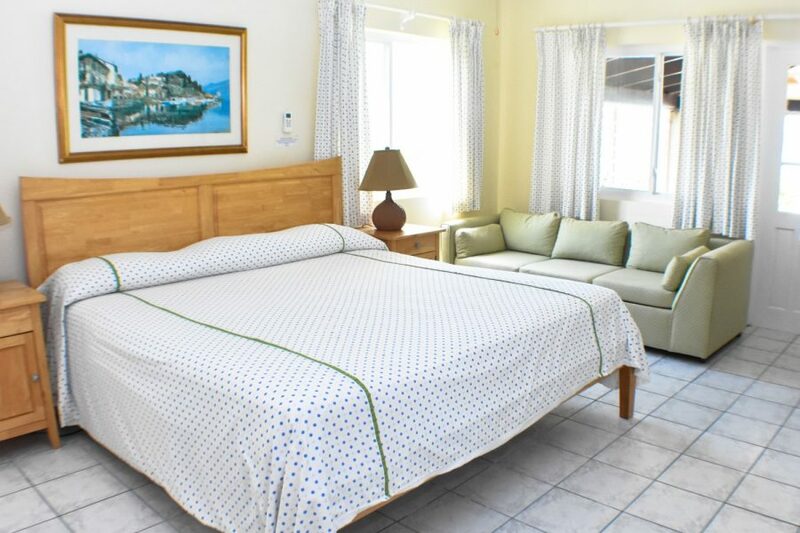 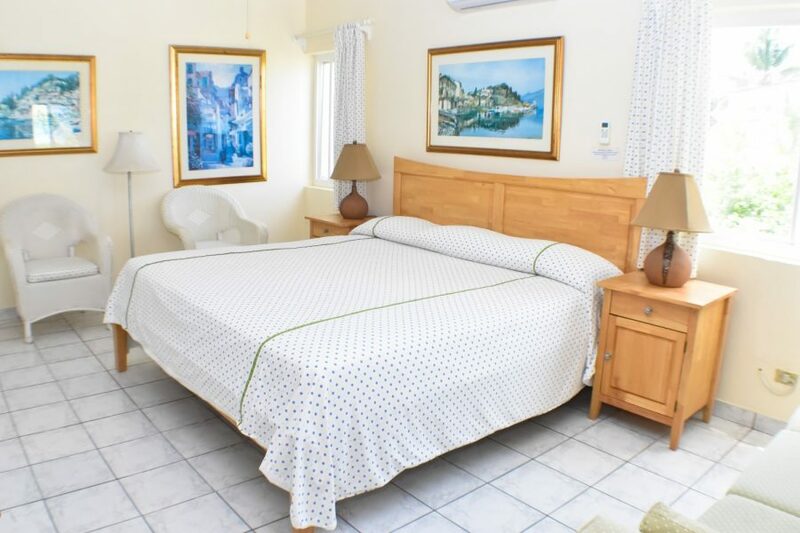 Like every unit in Antigua Village, this house is individually owned, decorated and furnished according to the taste of the owner nothing is standard. 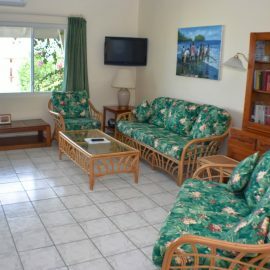 The house is fully air-conditioned, has direct dial telephones with voicemail and multi-channel cable television and free WiFi. 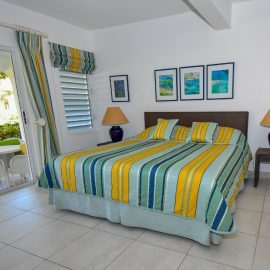 Rates for villas are quoted on a basis of up to six people sharing.